Resnick, Mike. 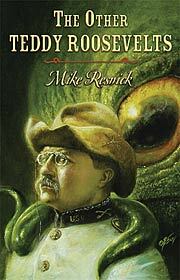 The Other Teddy Roosevelts . Subterranean 2008. Summary: Collection which includes w88 android, "The Bull Moose at Bay", "The Light That Blinds, the Claws That Catch", and "Over There", amongst other non-allohistorical stories.